This is really a funny story. I head out every year to photograph the burrowing owls. End of June the young ones venture from the burrow and they all seem to have their own personality. On this trip I took my daughter with me. It was evening and the sun was low in the sky. We came across this little guy. 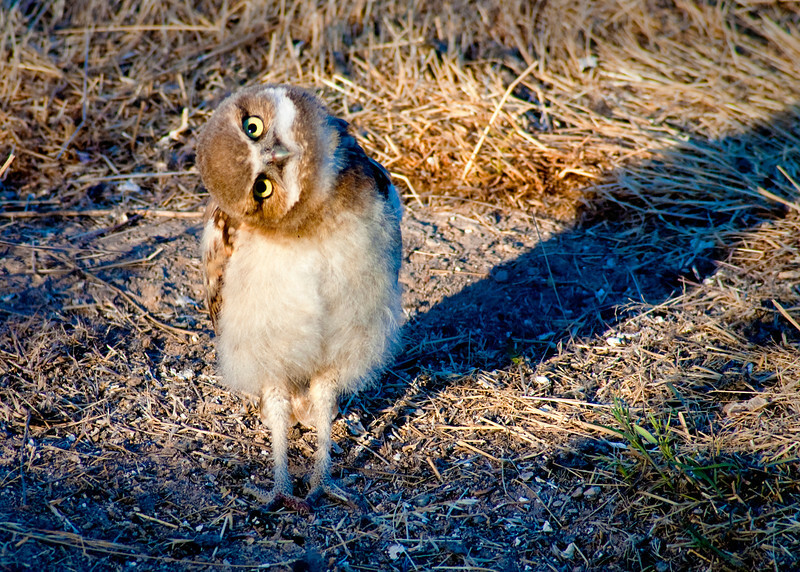 Strangest owl, he kept rotating his head from one side to the other. This did not seem natural. I looked in the back seat to see if my daughter was watching. Well it seems that she was tilting her hear from right to left. If you can believe it the owl was doing exactly what she was. Those are a couple of strange birds!